Lucky to be alive! 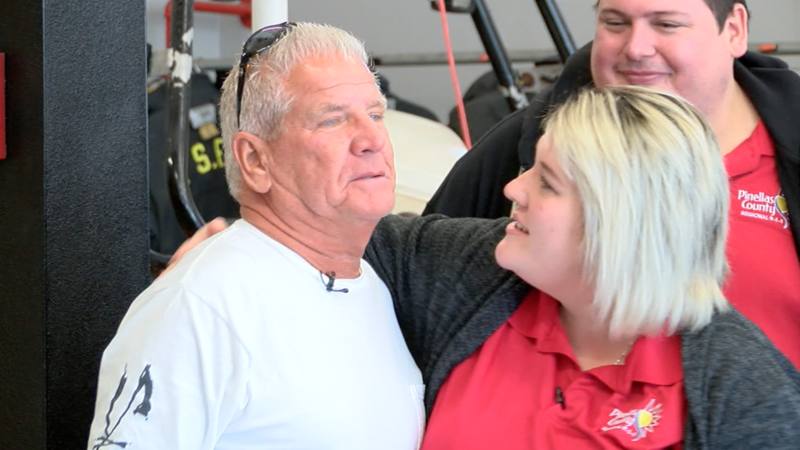 A Pinellas County fisherman says new technology, a caring 911 dispatcher and quick paramedics are the reason he's alive today. INDIAN ROCKS BEACH, Fla. — Lucky to be alive! A Pinellas County fisherman says new technology, a caring 911 dispatcher and quick paramedics are the reason he's alive today. Thusday morning, Michael Bochniarz was able to meet the men and women who facilitated his rescue. He held each one in a tight embrace as he thanked them. Just a month earlier, the Largo resident was fishing about a half-mile off the Indian Rocks Beach coast when conditions in the Gulf of Mexico became rough. As Bochniarz attempted to pull up his anchor to return to shore, his kayak capsized, dumping him into turbulent 56-degree waters. Bochniarz, 65, was unable to turn his boat back over and realized his legs had become tangled in rope. Bochniarz quickly realized he was in trouble. After first calling a friend and getting their voicemail, he held his cell phone above the waterline and used voice activation to call 911. For several anxious minutes, Pinellas County 9-1-1 dispatcher Mackenzie Espinoza kept Bochniarz from panicking as he worried about hypothermia, sharks and drowning. Meanwhile, 9-1-1 supervisor Brian Gallaher inputted coordinates into a new system called RapidSOS that assists in locating wireless callers. Pinellas County leaders immediately notified the Sheriff's Office who sent their helicopter out and over the Gulf. Paramedics at Pinellas Suncoast Fire Rescue jumped into a rescue boat and reached Bochniarz within 23 minutes of his call. Despite drifting off further into the ocean, the new technology helped rescuers to find his exact location. Paramedic Kaitlyn Armstrong was able to pull Bochniarz into the rescue boat, and the crew returned him safely to shore. A second boat from the Pinellas County Sheriff's Office retrieved Bochniarz' kayak and gear. 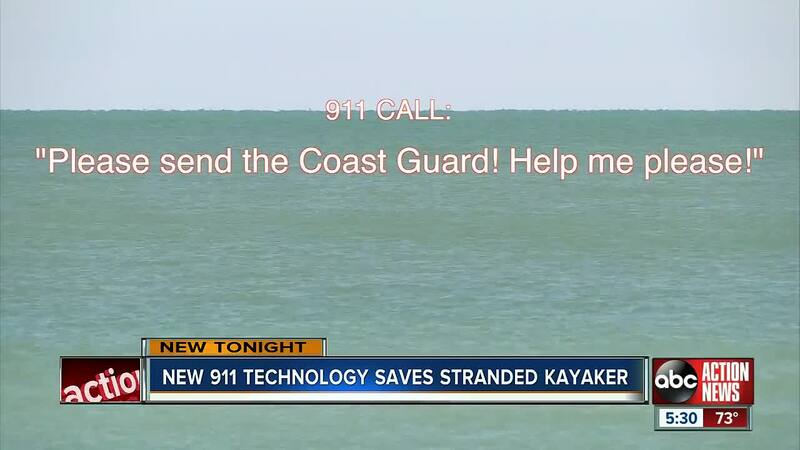 The new technology, called RapidSOS, is helping Pinellas County to locate people in trouble even if they're miles offshore. The technology has already been used to save several lives. "Pinellas County Regional 911 is now able to receive fast and accurate location data for 911 calls from iPhones with iOS 12 and Android phones version 4.0 and up," said Pinellas County Regional 911 Director Chuck Freeman. Bochniarz couldn't be more grateful. "I kept thinking 'they'll never find me.' I was cold and tired and I wasn't sure if I would make it. The minutes felt like hours. I can't thank these rescuers enough," he said while fighting back tears.